If you’ve read this site at any point in the last few months, you’d probably know that I love the new ALPINA B7. Since driving it a few months back, I haven’t shut up about it, probably to the point of annoying our readers. I can’t help it, though, as it’s such a good car and it left such an impression on me. If you want to learn more, though, CNET has a new video on five things to know about the B7. We won’t list them all, just the main bits, so as to not spoil the video for you. First up is power. The ALPINA B7 has a lot of it. 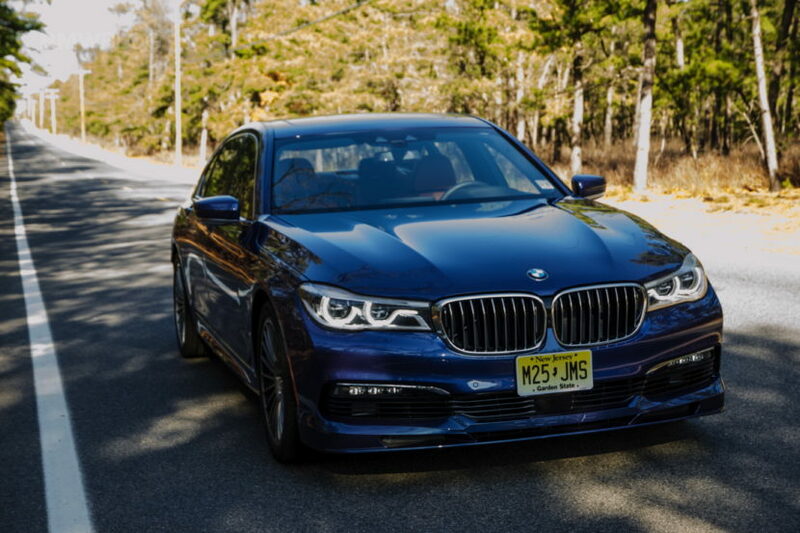 Using a heavily revised 4.4 liter twin-turbo BMW V8, the B7 makes 600 hp and 590 lb-ft. ALPINA claims that it can just crest 200 mph, which is insane from such a huge car. The best part is that ALPINA was able to achieve this using basically the same engine as the M550i, except with new pistons, a new air intake system, bigger twin-scroll turbochargers and a tune, among other things. So it’s the real deal. It also gets heavily revised suspension. So it gets unique air suspension, a uniquely-tuned all-wheel drive system and a four-wheel steering system that’s also been retuned by ALPINA. Even the suspension geometry is different from that of a standard 7 Series. So if feels significantly sharper than the 7er and is more comfortable as well. Personally, I love the ALPINA B7. It’s one of the best cars I’ve ever driven, thanks to its near-perfect blend of brutal, blistering speed and sumptuous, effortless luxury. Seriously, launching the B7 from a standstill is a uniquely odd experience, because it fires off the line like it’s been flung from a trebuchet. It’s also about as quiet as a private jet on the inside. It’s an odd experience because the noise you hear doesn’t match the thrust that you feel. It’s absolutely one of the best BMWs on sale and it may very well be the best iteration of the 7 Series ever.